Turn To God w/ Carin -Reaching Out - To Overcome! 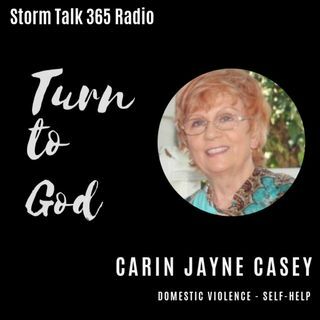 In “Turn to God with Carin,” Carin Jayne Casey concluded her 2-part series promoting outreach programs to help those in need, based upon Proverbs 3:27, the Great Commission, and Luke 10, Jesus’ instruction for us to go and show mercy to others. With emphasis on prevention of domestic violence, educating the community is essential. Please join us, your feedback is welcome!